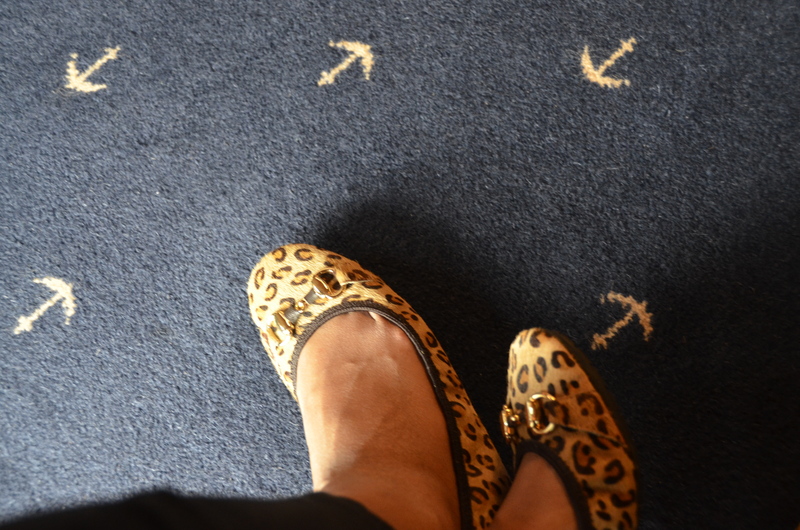 I bought these leopard printed Me Too flats on sale; they're one of my favourite pairs to wear. Lately though, and especially after looking at this photo, I feel that they're starting to stretch oddly. Hence the toe cleavage.